A weekly round-up of the things you don’t want to miss: both on The Worth Project and off. I wish I was kidding, but I have a deep-rooted love for those little rectangular boxes. When I was little my artwork consisted of painting rectangular boxes in different colors on a piece of paper. My mom did not hang it on the refrigerator. Over the past few weeks, I’ve been getting emails with tons of questions, comments, and suggestions. And I seriously love it. While I want to answer all of these questions in a sort of AMA (ask me anything) post, I’m starting small today and sending over two articles that address these two topics. And one includes a pretty spreadsheet. Life is good. Have a question you want to be answered? Someday I’ll get a more sophisticated system set up to answer questions, but for now, just submit it via the ‘contact’ tab and let me know what you’re wondering. Don’t set money goals – do this instead. If money goals make you go “ugh” or you promptly set them and forget them a few weeks later, this is the article for you. Instead of setting money goals (because, yuck) I started asking this one question. It’s so simple I almost didn’t write an article about it. But sometimes the simple solutions are the best and this question has not only helped me better understand who I am, but it’s also helped Jordan and I communicate better. We have 21 accounts. Really. This is how we manage it. Full disclosure, I have a really clean closet but I used to have really messy money. Breaking down how I went from “wtf is this mess?” to “ahhhh. 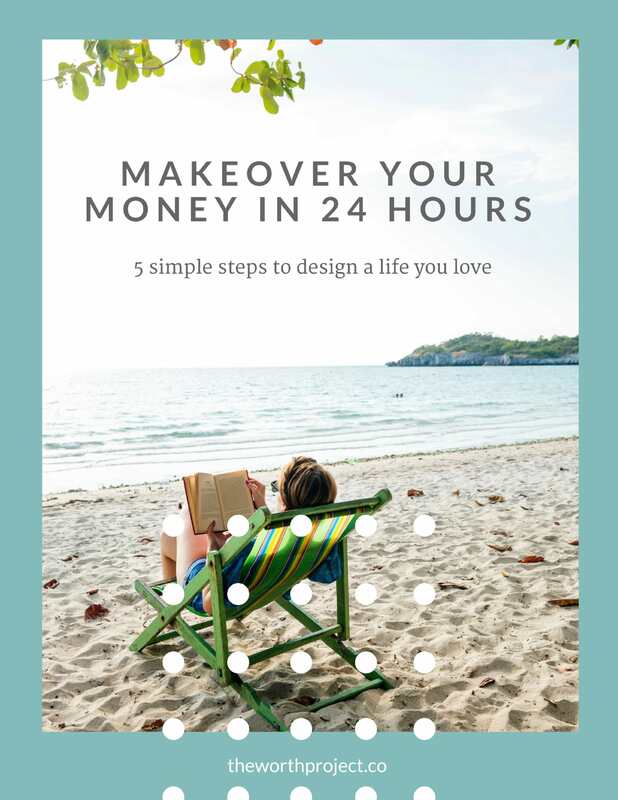 Money is simple.” Includes a spreadsheet download and a free tool that I’m currently obsessed with. A funny one to kick off your Friday. A quick and witty list of toxic femininity in the workplace. A gem: Jessica begins speaking, and no one speaks over her. She didn’t actually have an ending to her presentation prepared, because she expected to be interrupted. She is mortified. Money fights predict divorce rates? Yikes. The New York Times serves up some ideas for how you can navigate the financial side of a relationship. Some of the advice feels a little cheesy, but most of it is spot-on. I was nodding along at the idea that being fully honest with your money can make people fear they’re losing their autonomy. And that just because one money solution works for you, doesn’t mean it will work for others. Resolution to quit your phone addiction not going so well? Mine isn’t either. I’ve downloaded this app and I’ll be putting it to use starting this weekend. Not only do they nudge you to put down your device, they will plant a tree. All the good feels. Sometimes you need a little dose of a badass in your life. Ellen Pompeo’s quotes from her interview with The Hollywood Reporter is the best thing I’ve read all week. My favorite quote is #3 where she talks about trying to team up with Patrick Dempsey to negotiate.